An estimated 5,000 Palestinian protesters held demonstrations and clashed with Israeli security forces at some 30 locations across the West Bank and Gaza Strip on Friday after midday prayers, in a show of anger over US President Donald Trump’s declared recognition of Jerusalem as Israel’s capital. The Israeli army said it was braced for more protests on Saturday, and it stepped up the deployment of troops at West Bank settlements to try to thwart any attempted terror attacks. It said the 5,000 demonstrators on Friday marked a lower number than anticipated, but expected protests to continue for several more days, Hadashot news reported on Friday night. Palestinian officials said two demonstrators were killed at the Gaza border fence. One was killed in the afternoon, while another who suffered serious injuries died of his wounds hours later. 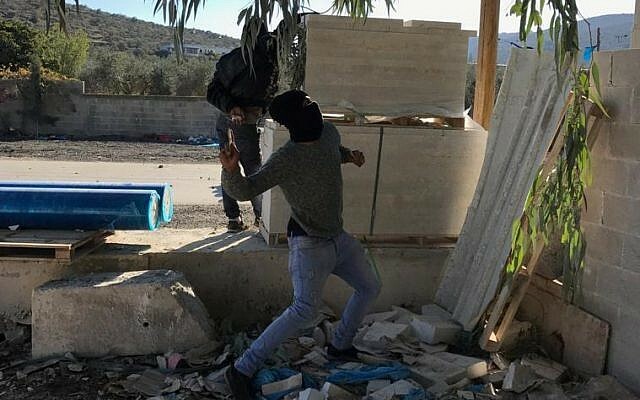 The Israeli army said it fired on two “inciters” at the fence. It said there was six points along the fence where protesters gathered and burned tires. The Red Cross in Gaza reported that 15 people were injured by tear gas and rubber bullets. 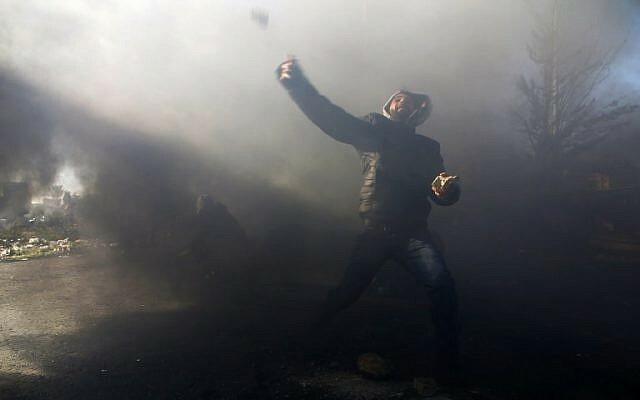 In the West Bank, the Palestinian demonstrators threw rocks and Molotov cocktails, and set fire to tires and rolled them at Israeli security forces, who generally retaliated with less-lethal riot dispersal equipment, like tear gas, stun grenades and rubber bullets, and in some cases with live fire. Palestinian protesters also burned pictures and effigies of Trump and Prime Minister Benjamin Netanyahu, as well as Israeli and American flags. Unusually, Palestinian Authority security forces allowed demonstrators to carry Hamas flags, Israel Radio reported. 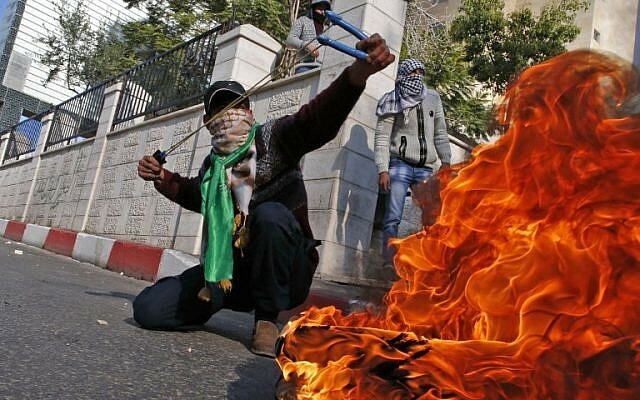 It said some Palestinians branded the protests the start of a new intifada uprising. 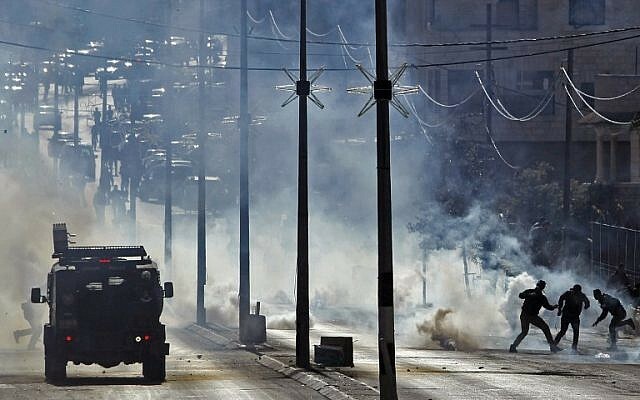 Palestinian officials reported over 200 people injured in the West Bank and East Jerusalem, the vast majority of them lightly, from tear gas inhalation. Seven were hit by live bullets, and 45 by rubber bullets, the Palestinian Red Crescent ambulance service said. 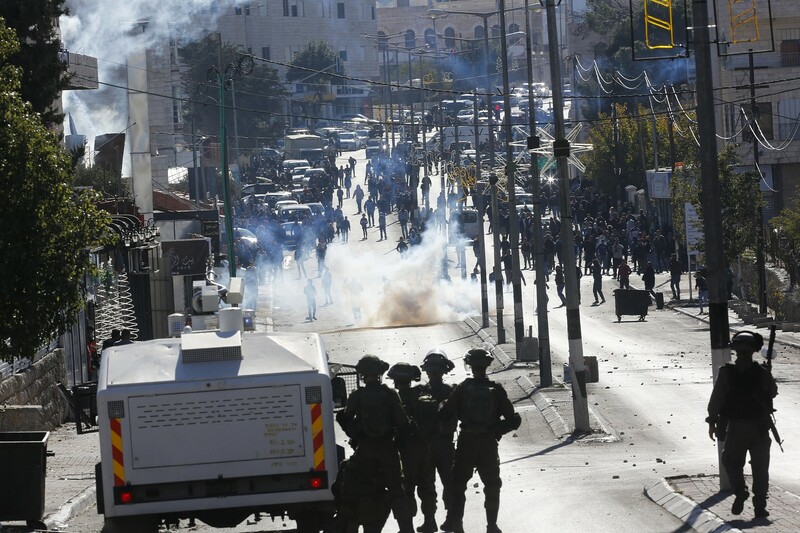 The Israel Defense Forces said it knew of at least 10 injured Palestinians in the West Bank. Two Palestinian protesters were shot by Israeli troops during a violent demonstration at the Gaza border, the army said. Local media reported that one of them was critically wounded. No soldiers from the Israel Defense Forces or Border Police were reported injured. 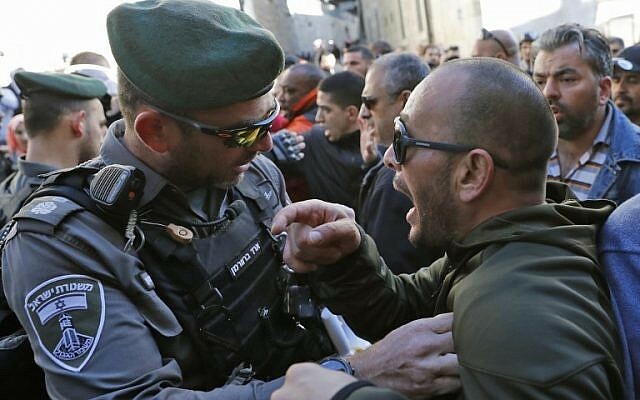 Israeli officials said six Palestinians were arrested during the protests. 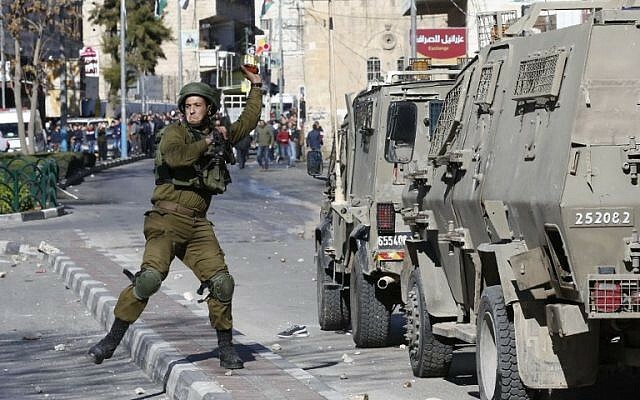 Among the estimated 30 demonstrations in the West Bank, the largest took place in Ramallah, Hebron, Bethlehem, Al-Arroub, Tulkarem, Qalandiya, and Bayt Ummar, the army said. 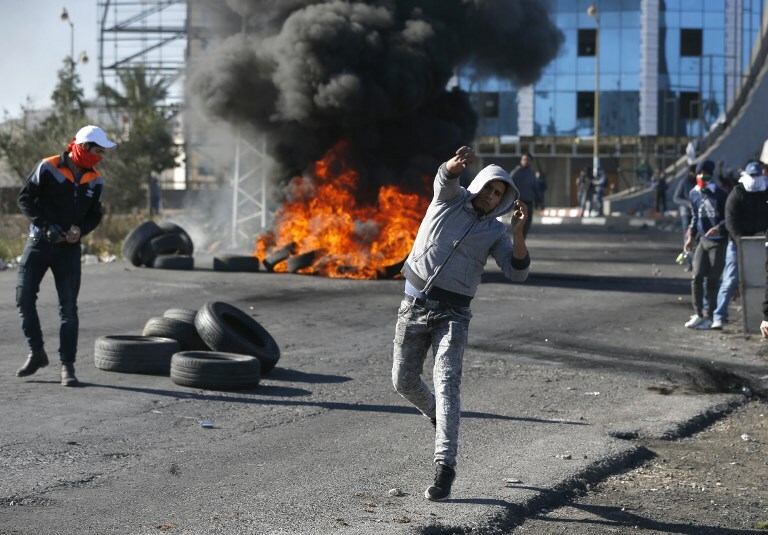 Smaller demonstrations were also reported in Ramallah, Nablus, Hawara and Nabi Saleh. In Jerusalem, hundreds of Palestinian rallied after Friday prayers near the Al-Aqsa Mosque, a flashpoint site in the holy city which, along with the Dome of the Rock, sits on the Temple Mount. The holiest place in Judaism, the mount is known to Muslims as Haram al Sharif. PLO and Turkish flags were raised during Friday prayers at Al-Aqsa. 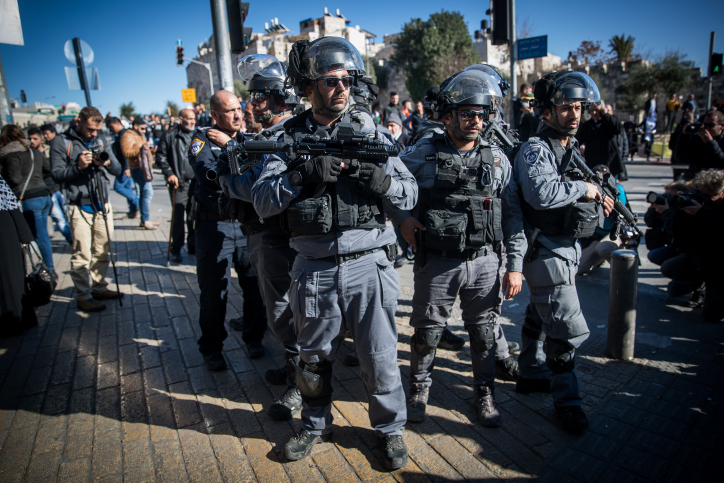 A protest erupted briefly at Jerusalem’s Damascus Gate, and was cleared by police. Demonstrators threw objects at the security forces deployed there. Israel Radio said Arab members of Knesset were seen in the crowds. The Red Crescent said that one injured Palestinian man was transferred from Damascus Gate to the hospital after being injured by police. Additional IDF battalions were also sent into the West Bank. In Gaza, thousands took to the streets and marched to denounce Trump’s proclamation. 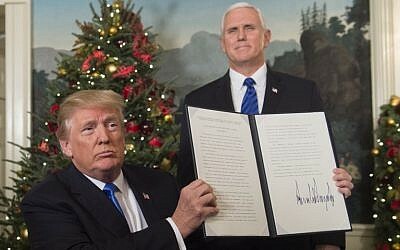 The Fatah movement of Palestinian Authority President Mahmoud Abbas said that by recognizing Jerusalem as Israel’s capital, Trump had issued “a declaration of war against the Palestinian people,” Army Radio reported. The US president had harmed the Arab and Muslim nation, the Fatah spokesman said. “Someone with no right to intervene had awarded [Jerusalem] to someone with no right to it,” the radio reported quoted the spokesman saying. On Thursday, Hamas terror group leader Ismail Haniyeh called for a new Palestinian intifada, or uprising. The move was hailed by Prime Minister Netanyahu and by leaders across much of the Israeli political spectrum. Trump stressed that he was not specifying the boundaries of Israeli sovereignty in the city, and called for no change in the status quo at the city’s holy sites. 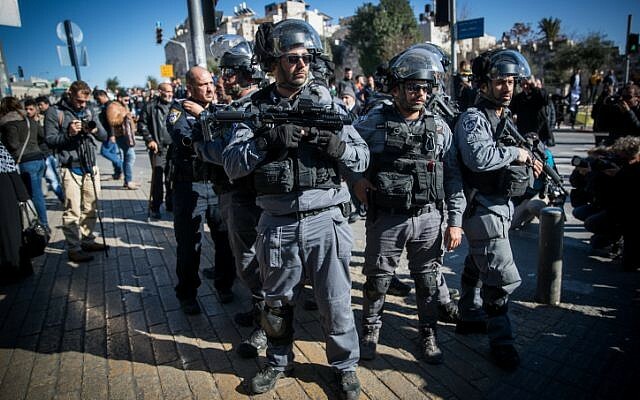 Security assessments had expected tens of thousands to take part in the Friday protests and the IDF was particularly concerned that “lone wolf” attackers could try to carry out terror attacks, the Ynet news site reported. Soldiers were stationed at potential confrontation points during the day and were later to deploy to prevent any attempts to carry out attacks on settlements over the Sabbath, the report said.